Smoke detector: Make sure it’s working. If it starts beeping, the battery probably needs replacing. Barbecue: Make sure the barbecue is well away from the edge of your building and any foliage. And, remember that the difference between a barbecued and burnt meal is generally determined by the amount of attention given to the process – so pay attention. Heaters: Keep portable heaters at least a metre away from anything combustible. Never lay wet clothes or shoes on top of heaters to dry. Cigarettes: Smoke outside and don’t drop butts on the ground. Use a deep ashtray, rather than throwing butts in a planter, as embers can smolder and cause the plant to catch on fire. Electrical appliances: If a toaster or any other electrical appliance only cost $3.99, think about how good the wiring is likely to be. Electrical fires are also common where too many appliances are plugged into the same outlet. If you have ever blown a fuse by turning on the hairdryer or microwave, the wiring needs to be assessed by a qualified electrician. Children: We’re not suggesting your child is a pyromaniac, but it is normal to be interested in fire – teach your kids to respect fire. More than half of all candle fires started when the candle was too close to a flammable item, such as furniture, curtains, or decorations. In one-fifth of the fires, the candles were unattended or abandoned. More than one-third of home candle fires begin in the bedroom. December is the peak time of year for home candle fires. In fact, 4 of the top 5 days for home candle fires were between December 23 and January 1. Don’t use candles in the bedroom, or anywhere else where you may fall asleep. Don’t use candles when there are small children or pets around. Keep candle wicks trimmed to about a quarter of an inch. 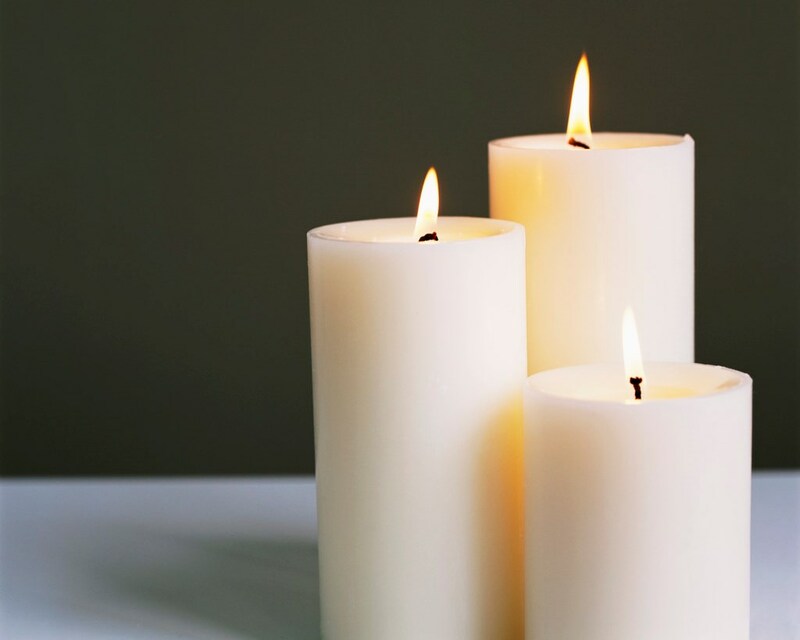 Use sturdy candle holders that won’t tip over, and don’t let the candle burn right to the end. Be very careful if carrying a burning candle. Hold it away from your clothes or anything else flammable. Make sure the candle is not too close to a window, where curtains can blow near the flame. Use battery operated tea lights. They look just as good, but aren’t dangerous. Candle are beautiful but are a very real fire hazard. With so many other options today, you can have a warm, cheery ambience without the worry. Turn pot handles in, not away where they can be bumped, or worse, be pulled down by a child. Don’t leave anything unattended in or on the stove. Roll up your sleeves. Don’t let loose clothing catch on fire. Keep your stove clean. Fire hazards increase when grease builds up. Don’t use your oven as extra storage. And don’t store items over the stove. Be careful when cooking with oil or grease. Spatters can catch fire. Keep flammable items, such as curtains or paper towels, away from the stove. Check electrical cords for fraying or loose connections. Always use a pot holder, not a towel. Towels can ignite if they touch the burner. Keep baking soda by the stove. If a fire starts in a pan, smother it with a lid or cover it with baking soda. Kitchen fires can cause significant smoke damage to your entire home, even if the fire itself is contained to the kitchen. Every year, there are thousands of dryer fires. How can you prevent this from happening to you? Clean the lint screen every time you use your dryer. Vacuum around and under your dryer where lint can collect. Don’t put cleaning rags in the dryer. These can contain flammable liquids or oils which can heat dangerously in the dryer. Read your dryer’s manual and follow any service recommendations. It is often recommended to have the dryer taken apart and thoroughly cleaned out by a qualified service technician every 1-3 years, depending on how often you use your dryer. Clean the dryer vent periodically. Go outside while the dryer is running and make sure the exhaust air is blowing out. If not, there could be a blockage in the ducting. Leave space between dryer and wall. If you put the dryer right against the wall, you can crush the venting material. Call a service technician if you notice your clothes are excessively hot when they come out, or if they’re taking an overly long time to dry. Your dryer may need maintenance. Don’t leave your dryer running when you go out or when you go to bed. A dryer is an important appliance to have in Canada, especially in the winter when the weather makes it impossible to hang clothes outside. Just take a few precautions to make sure your dryer is properly maintained, allowing it to operate efficiently, and helping to keep your home safe from fire. If you own your home, be sure you have the right insurance to cover all of your property. If you are a renter, having renter’s insurance in place can provide coverage for not only your own property, but also for any fire and smoke damage to the unit you’re renting. For more information, or to get a home insurance quote, contact Square One at 1.855.331.6933. Even when you take precautions, accidents can happen. Home insurance is one way to protect your family against financial losses from accidents. And, home insurance can start from as little as $12/month.